Enterprise House is situated in the centre of Bishop’s Castle. 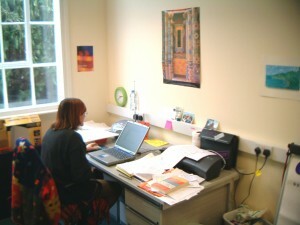 With a variety of offices and workshops it is the central business location in the town. We manage 7 workshops and 7 offices within the property and do occasionally have vacancies so it is worth contacting us for more details. Prices start at £195 +VAT pcm and the terms are easy. As of May 2017 we have a workshop available for rent – contact us for more details. In addition to the business premises we provide a large drop-in IT Centre that provides a wide range of office services at very competitive prices. The location and car parking provides a great place to locate your business with the added benefit of the IT and reprographic facilities. 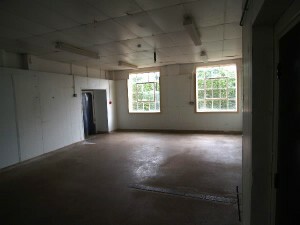 In addition we have a meeting room which can be used by our tenants for a very small fee. Security in the area is good and the site is locked every night with a substantial gate. Each of the workshop units has a rateable value below the Council threshold for 100% rate relief. So we are reliably informed that, if this were your sole place of work then there would be no rates payable until at least April 2016. 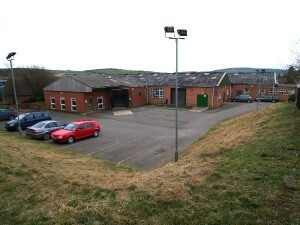 The Enterprise House complex is managed locally and the staff are on site every day. You can enjoy all the facilities of Enterprise House which means it’s very easy to run your business from a strong local base. The Enterprise House staff also run the local business network so not only can we help promote and advertise your business we can also pass on news about all the opportunities available to businesses in the area.